A Russian Proton-M rocket that was supposed to deliver a Mexican satellite into space has developed serious problems soon after takeoff from the Baikonur cosmodrome in Kazakhstan on Saturday, and crashed over Siberia after exploding in mid-air. Russian space agency Roscosmos said the rocket blew up about 500 seconds after launch due to the fact that the third stage of the carrier and booster developed sudden technical problems. The MexSat-1 satellite it was supposed to deliver to deep space is believed to have been destroyed in the crash. According to Jim Kramer, Vice-President of International Launch Services (ILS), any other proposed launch will be suspended for not, and the Roscosmos will commence investigations into what must have caused the crash. He added that the hardware of the rocket probably disintegrated after re-entering Earth’s surface. Mexico’s Transport and Communications Minister Gerardo Ruiz Esparza announced that the destroyed satellite aboard the rocket carrier was properly insured and that the government will be compensated for the loss. 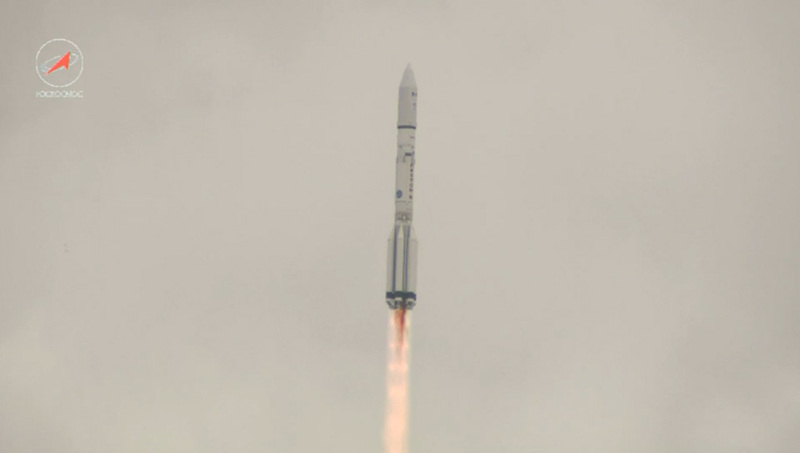 The Proton-M rocket exploded and crashed back to Earth after it had attained a height of about 161 kilometers or 100.04 miles away from Earth. It was originally designed in the 1960s as a UR-500 to deliver nuclear warheads to the United States which was an enemy of the Soviet Union during the Cold War. Unfortunately for Roscosmos, this latest incident is one too many. The Russian space industry has suffered a series of space mishaps in recent times, and this is undermining its reputation as the first nation to launch a satellite and put man in space – on the moon. An unmanned Progress M-27M carrying about 3 tonnes or 2,722 kg of cargo supplies could not dock at the International Space Station (ISS) due to technical problems in April, and the soviet nation suspended another $51 million supply mission to the ISS because of this. Another Progress M-26M cargo ship failed to start its engines after docking at the ISS and it could not correct its orbit properly early on Friday. And a spaceship worth $200 million crashed in July 2013 after takeoff from the Baikonur cosmodrome, and the three navigation satellites on board were destroyed.